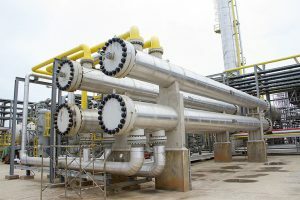 In about four to six months gas from the Atuabo gas plant should flow to Tema to address the issue of the availability of gas for thermal plants, the Minister of Petroleum, Mr Emmanuel Armah-Kofi Buah, has said. Taking his turn at the meet-the-press series yesterday to apprise the media of developments in his ministry, he said, “to address the issue of the availability of gas for thermal plants in both the Western and Eastern enclaves, particularly when gas from future fields come on board, Cabinet has approved a reverse flow of gas from Atuabo through the West African Pipeline system to Tema. “It is expected that when the reverse gas flow comes on stream, the supply of gas from Nigeria will only play a complementary role and curtail incidences such as the threat of shutting down pipes due to indebtedness, as the country is currently grappling with,” he said. Mr Buah announced that to ensure that the project was successful, an implementation team had been put in place, while a dedicated onshore pipeline from Takoradi to Tema was being considered in the medium to long term. Meanwhile, he said, the US$1 billion Ghana Gas Infrastructure Project which commenced commercial production on April 1, 2015 was currently delivering about 100mmscf/d to thermal plants at Aboadze for power generation. “The plant is also on track to produce Liquefied Petroleum Gas (LPG) of more than 180,000 metric tonnes per year, which amounts to over 50 per cent of the present estimated 360,000 metric tonnes annual LPG national demand,” he said. Mr Buah stated that to ensure cost effective and sustained gas delivery to consumers, the ministry was taking steps to address infrastructure planning and delivery requirements in a gas strategy outlined in a Gas Master Plan, which had already been finalised with stakeholders and would soon be presented to the Cabinet for approval. “Once the ministry secures Cabinet approval for the plan, we will develop a Gas Policy and a Gas Act that will provide transparent regulatory framework for the gas industry. It will address infrastructure requirements, funding, institutional mandates for gas sector agencies and provide a revised gas pricing policy reflecting our developmental priorities,” he said. Mr Buah stated that the local content legislative instrument that was passed in 2013 was already empowering Ghanaians, with about 7,525 Ghanaians working directly in the oil and gas sector. He said the deck of the recently named FPSO Atta Mills in Singapore had been lined with hundreds of modules and pipe rack support tools which were fabricated by two Ghanaian companies, Seaweld Engineering Ghana Limited and Orsam Ghana Limited, while the vessel’s anchor piles were fabricated by Group Five Construction Ghana Limited, another Ghanaian company.